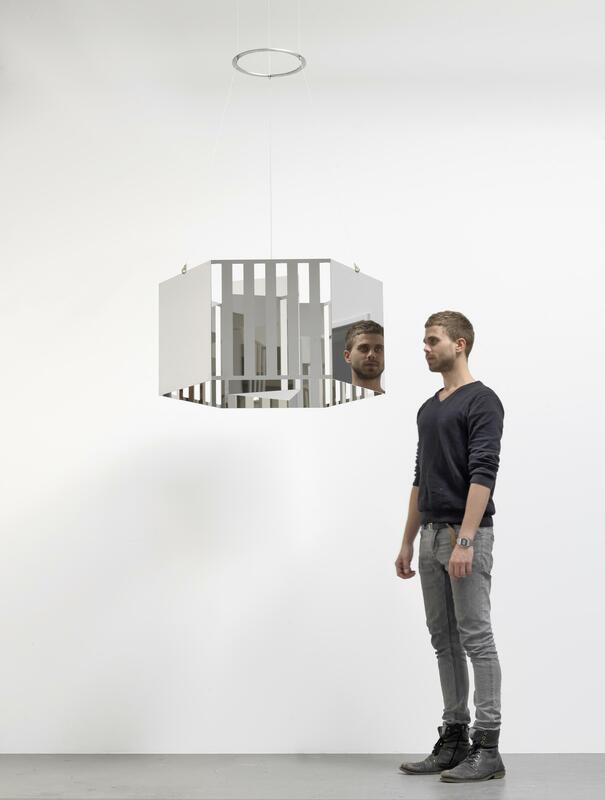 The Simons Center Gallery is pleased to present Through a Looking Glass, an exhibition featuring the work of internationally acclaimed artists Jeppe Hein, Daniel Rozin, and Alyson Shotz. These artists individually explore perception and viewpoint using mirrors as a place for reflection, while considering presence and impression. In the artist’s work, the viewer is an active participant seeing the world in an illusory space with beauty, humor or surprise. Jeppe Hein works with interactive sculptures and installations combining elements of humor with the traditions of minimalism and conceptual art. At first glance his sculptures appear to be uncomplicated, formally simple affairs possibly nodding to 1970s conceptual art and minimalism, but something happens as they are approached: they react to human presence. Hein studied at the Royal Danish Academy of Art and the Städelschule in Frankfurt while registered as an associate student of the Danish Academy. As a student, Hein was co-founder of OTTO, a non-commercial organization, which organized art exhibitions at various venues in Denmark between 1997 and 2000. 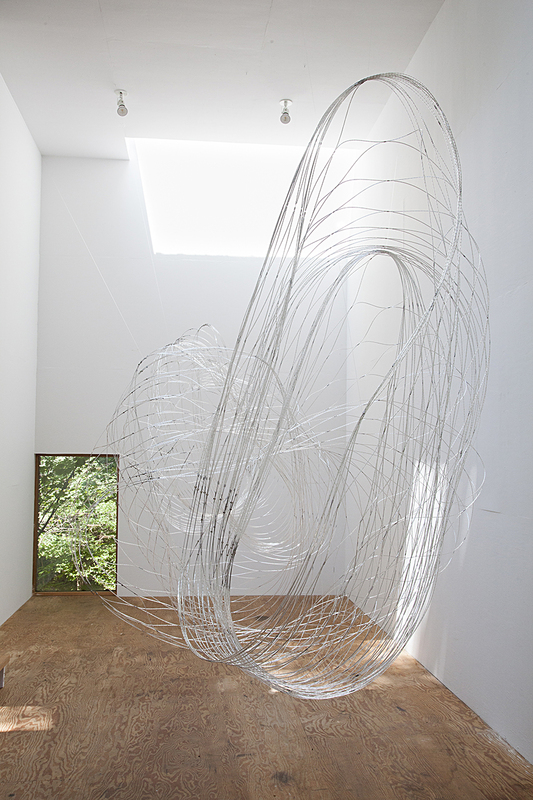 He exhibits his work internationally and his site-specific outdoor sculptures are installed worldwide. Born in Copenhagen, Hein lives and works in Berlin, Germany. Daniel Rozin is an artist, educator and developer, working in the area of interactive digital art. He creates interactive installations and sculptures that have the unique ability to change and respond to the presence of a viewer. In some of Rozin’s pieces, the viewer is a subject. 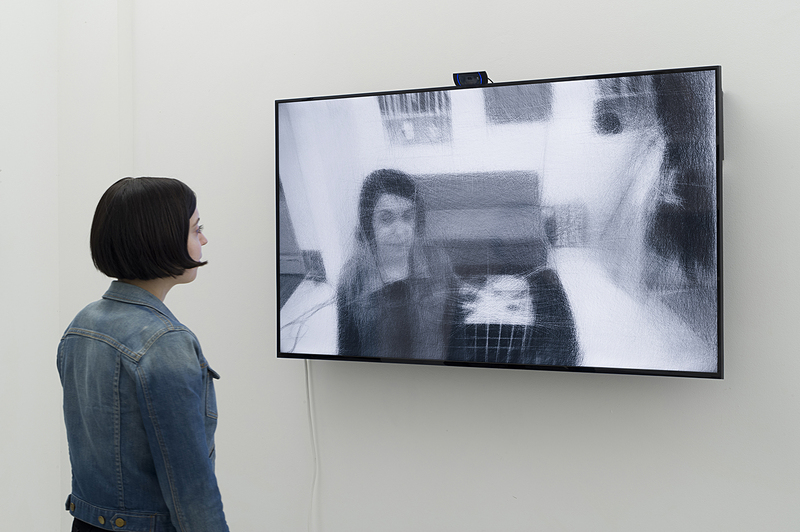 In other works, the viewer takes part, actively and creatively, in the performance of his artwork. Even though computers are often used in Rozin’s work, they are seldom visible. Rozin’s art is part of numerous public and private collections and he is the recipient of many awards. These include the Prix Ars Electronica, I.D. Design Review, Chrysler Design Award, and the Rothschild Prize, Rozin is an Associate Arts Professor at ITP in the Tisch School Of The Arts at New York University. He earned a BD at the Jerusalem Bezalel Academy of Art and Design and an MPS from New York University. Born in Jerusalem, Rozin lives and works in New York City. Alyson Shotz is an artist working with a variety of media ranging from sculpture to prints to animation. She is known for manipulating synthetic materials to investigate modes of perception, experiential boundaries, and natural and scientific phenomena. Shotz uses mirrors, plastic, glass, steel, and beads to create physical structures that simultaneously comment on the space surrounding the piece, often through the transformative implementation or capture of light. Shotz’s work is in collections worldwide, including The Solomon R. Guggenheim Museum, Hirshhorn Museum and Sculpture Garden, The Museum of Modern Art, San Francisco Museum of Modern Art, Indianapolis Museum of Art and Whitney Museum of American Art. She received a BFA in painting from the Rhode Island School of Design and an MFA from the University of Washington, Seattle. Born in Arizona, Shotz live and works in New York City. Stainless-steel wire, aluminum and stainless-steel collars, and glass beads. Courtesy of the artist and Derek Eller Gallery, NY. Photographer Susan Wildes.